Kain Knight, one of the UK’s largest professional firms of Costs Lawyers, is pleased to announce that Master Colin Campbell, who retires as a costs judge of the senior courts costs office next year, will be joining as a consultant. 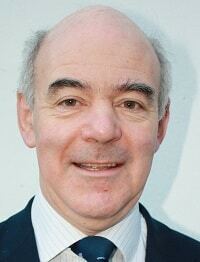 Colin will bring his many years experience in costs to bear in a number of activities. 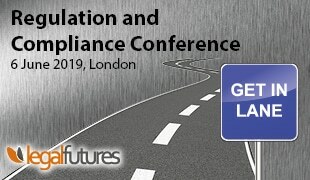 They include the provision of regular updates in costs law, its practice and procedure, advice on compliance and regulatory issues, presentations at conferences and client seminars with emphasis on topical issues such as costs budgeting, advising the Kain Knight Board on general strategy and its business development, including the provision of arbitration and mediation services for clients in the UK and internationally. With his experience drawn from over twenty years at the SCCO, starting in 1993 as a deputy taxing master and from 1996 as a permanent costs judge, Colin was formerly a litigation partner in a commercial law practice in Holborn. He has sat as an assessor with High Court judges in numerous costs appeals and also with the court of appeal in Henry v News Group Newspapers. Sitting in other capacities, he has presided over costs hearings in the Supreme Court and privy council as a judicial taxing Officer. Colin was a member of a working group which reported to Sir Rupert Jackson in the preparation of his report – review of civil litigation costs. He is also an editor of the Civil Court Practice (the “Green Book”), general editor of Greenslade on costs and joint editor of the Costs Law reports. “I am delighted that I shall be joining Kain Knight next year. The group continues to be a market leader in costs law and practice, nationally and internationally, whilst retaining its traditional values in providing a personal and dedicated service in the preparation of bills, costs budgets , advice and advocacy. The Jackson reforms have brought many challenges and I am looking forward to addressing these at Kain Knight, together with the opportunities that are opening up in developing areas such as arbitration and costs mediation”.